The Rebel Sweetheart. : Are you Ready for Ironman 70.3? What's the first thing you think of when you hear the name 'Iron Man'? I bet the image of Robert Downey, Jr. clad in a battle suit would be your answer. For sports enthusiasts, however, 'Iron Man' means more than just Tony Starks' alter ego. Ironman is an international triathlon competition that takes place in over 30 countries around the world. This event offers a unique racing opportunity to old and aspiring triathletes as it challenges them to stand out and be their best in three major endurance sports – swimming, biking, and running. Here in the Philippines, we have the Ironman 70.3, a race series that has a shorter course. Also known as 'Half-Ironman', the race consists of a 1.9 km-swim, a 90-km bike, and a 21-km run. As with the Ironman series, it consists of a number of qualifying races at various locations worldwide, culminating in a world championship race with athletes drawn largely from top finishers in the qualifying events. 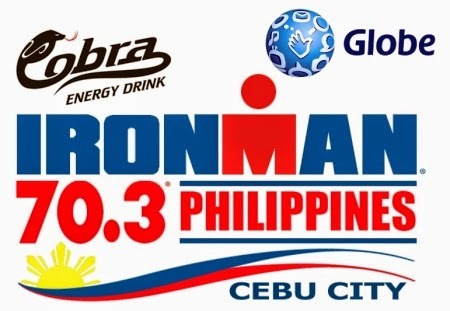 This year, Ironman 70.3 Philippines will take place in Mactan, Cebu on August 3, 2014 with about 2,500 participants from various parts of the country and abroad. And just like in the previous years, Globe Telecom is once again the official technology partner of the said event. The Globe Triathlon team prepares for the sixth staging of Ironman 70.3 Philippines. My husband want to join this triathlon activity but I warned him that he needs to be seriously fit, as in healthy lifestyle from the start. Hindi biro ang Iron Man na to. I have a friend who has done 2 full ironmans. I find people who can do these amazing! I'm with Gellie on this, I thought another Iron Movie was coming out. Triathalons are something amazing, anyone who can participate in one and complete it is impressive. I'm with Gellie on this, I thought a new Iron Man movies was coming out also. Anyone who can participate in this event is impressive. When you asked the question most people with think of the movie or super hero. I have heard of Ironman before and Kodos to all that enter this also. Thanks for sharing. I laughed thinking of the movie too, but yes, I've heard of Ironman the sport! :-) What an amazing test of endurance! I am personally not ready :) but I'm feeling great after the baby and slowly getting back into shape. Just need my energy back! I have visited Lanzarote Ironman couple of years ago and it was a great experience. Wish I would be able to see the Ironman 70.3.